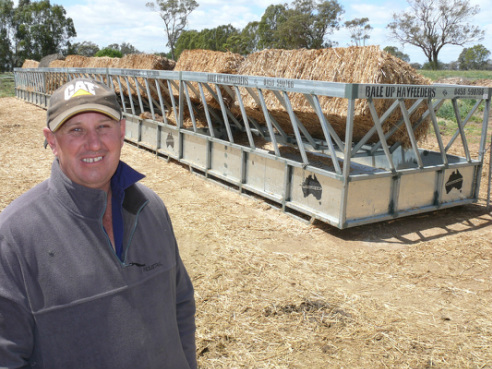 Brett Gledhill from Nanneella Vic in front of his new modular Bale Up Feeder, there are six units, 2 end units and 4 open ended centre units each four metres long and they make up a 24 metre long feeder. 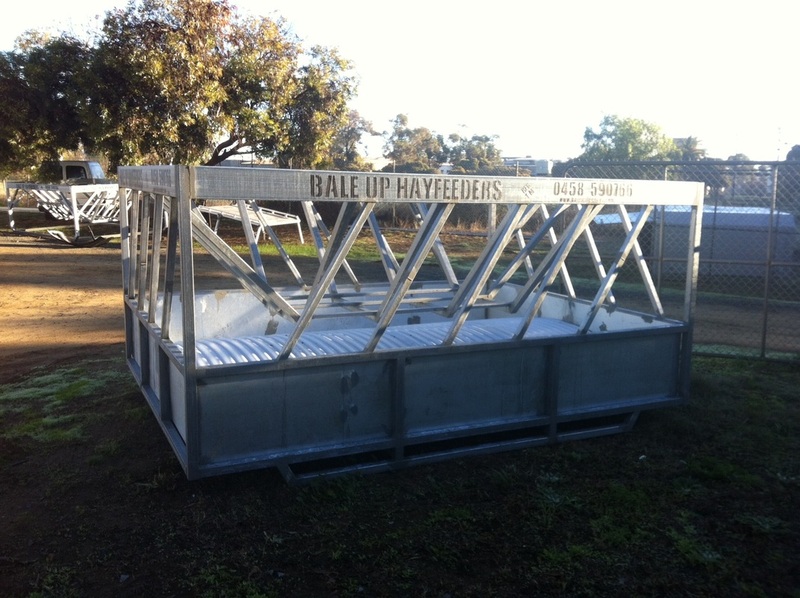 Look for a story on this feeder in the November issue of Dairy News Australia. We now roll zincalume corrugated sheet, combined with a 150mm lower breast height and there are no dead spots in the middle of the feeder. Jersey cows and yearlings can reach any feed that drops. An added bonus is that water easily drains from the hay that has dropped. All our feeders are made in Australia using Australian Steel and using Aussie labour. 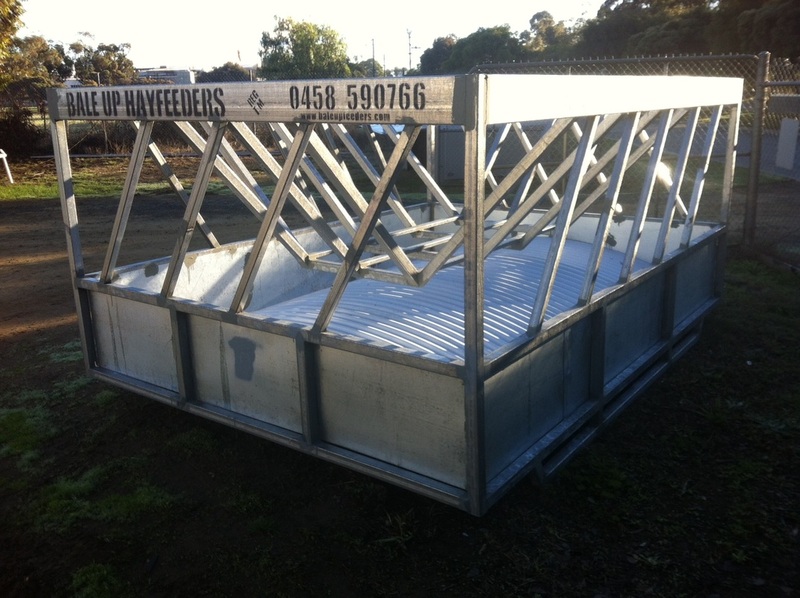 None of our feeders are chinese imports assembled in Australia unlike some of our competitors. All our feeders have a full cradle which keeps the hay away from the sides. Our feeders are 11 feet long, 8 foot bales are kept well centred in the feeder and cattle are forced to keep their head in the feeder.